All joking aside, the point of time management is to make sure you have time for what matters to you. One of my goals with this blog is to inspire women to minimize the mundane to make more room for the sublime. What are your big goals? Maybe you want to start a home business or homeschool your kids and still have a life. Or just have time for exercise and good books! Here are some ways to do that. 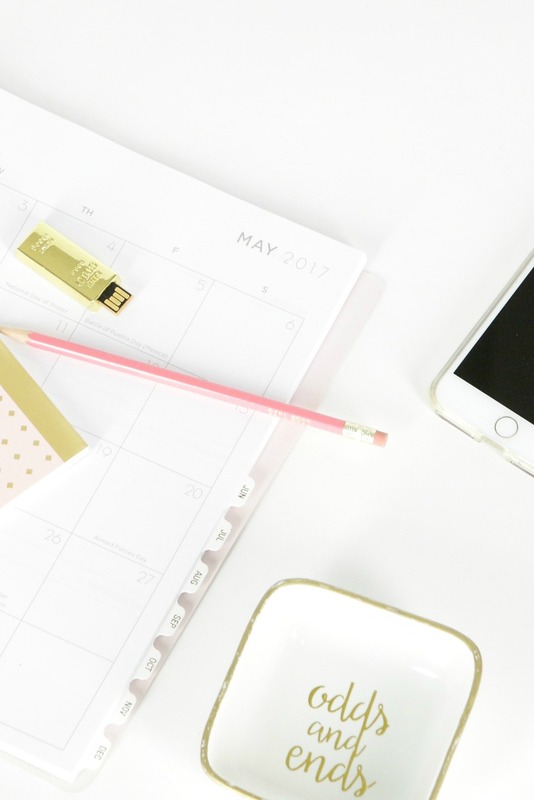 In order to save time, you first need to know how you’re spending it. (Similar to how creating a budget is most effective after a period of tracking your spending.) Laura Vanderkam, a favorite writer of mine, explains more in her excellent book: 168 Hours, You Have More Time Than You Think. I’ve done a few time tracking experiments and they’re always eye-opening! They show how you may be spending a lot of time on something that you don’t truly value. It may out of bad habit or fatigue or just plain mismanagement, but knowledge is power. Seeing it on paper helps you evaluate whether the way you are spending your minutes is how you truly want to be spending them. One of the most time-consuming (and for me, exhausting) things moms do is procure stuff for their families. Especially in a large family, it seems that every week someone needs new shoes. We’re always running out of eggs and half-and-half. Etc. Some of this is unavoidable. But I minimize the time I spend shopping by ordering as much as I can online, including using Amazon Subscribe & Save for those needed household products. If you enjoy shopping and consider it a valuable use of time, that’s one thing. But if your budget isn’t happy, try this list of things to do instead of shop. Having an idea of your goals and writing down your objectives galvanizes your mind. When you know what to do next, you reduce decision fatigue (because you’ve chosen ahead of time, and are now just following your own instructions, which makes the brain relax). And you get the important stuff done. Like reading that novel on the couch. I owe this concept to Katy Bowman, a biomechanist who writes books about health and movement. Katy talks about “stacking your life” in order to fit more movement into your day. It’s a refreshing, less stressful alternative to multi-tasking (which your brain doesn’t do well). She explains more in this podcast. As an example, I want to move my body every day. And I want to have some quality time with my teens. So, I take a walk or bike with my teens every day. (Even better when that walk or bike ride was to an actual destination, accomplishing an errand too!) What are some things you want to accomplish that you can stack together, instead of thinking about them as separate components? Managing time is also about managing energy, which rises and falls during the day. Knowing this means we can plan the activities that require more energy at peak times, and ones that don’t, at chill times. Also, if you’re in introvert, don’t worry about having to say no sometimes. If you know that a social event will leave you exhausted for the rest of the day, well sometimes ain’t nobody got time for that. No need to apologize about prioritizing your goals. One of the key lessons I learned from the book 168 Hours, mentioned above, is the concept of core competencies. Core competencies are things you are uniquely qualified to do. Examples: nurturing relationships, exercise, spirituality. They also include the things you excel at. But everything else? Minimize, outsource and delegate it. Depending on your budget, you may be able to outsource a lot of tasks (I outsource my clothes shopping to StitchFix because shopping is something I intensely dislike). If not, look around and see if there are people around you who enjoy doing what you dread. Could you swap chores with them? In a podcast, Marie Kondo recently explained that she loved tidying and organizing so much, she did it for free for friends and family. When word got around, people started offering her money to do it for them, and an international business and best-selling books have been the result. An excellent way to minimize? Automate bill-paying by setting up auto-pay online. My utility bills are all paid automatically online. Who has time to write all those checks? Simplify decorating and eliminate clutter. Speaking of Marie Kondo, I’m a fan of her methods. Getting rid of excess stuff makes cleaning so much faster and easier. This is doubly true if you have children. And if you do, they should be helping you with household chores. Young kids can be taught how to clean their rooms, and the less stuff they own, the easier it is. Kids a bit older can do their own laundry and help you cook and clean as well. When it comes to super-efficient household cleaning, nobody teaches it better than Don Aslett. Feeding your family is another time-consuming task. One of the ways to minimize this is to spend less time in the store and less time hanging out in front of the fridge wondering what’s for dinner. Spending a few minutes making a meal plan and shopping list can save time both in the store and at home. There are lots of ways to get food on the table faster too. Batch cooking, cook once/eat twice, freezer cooking, slow cooker and “one pot” Dutch oven meals (see my post with 3 of my favorite simple healthy cookbooks for recommendations) are all useful tricks. One of my time-saving kitchen hacks? Diced frozen veggies. See more tips here: cook dinner faster and easier. I have a great resource to recommend here: The Well-Ordered Kitchen. It’s on sale today. Take a look! Oh how I love having a small, well-curated wardrobe of pieces that I love (because they fit and flatter)! More about a minimalist wardrobe here. Could you shave off a few minutes a day by simplifying your skin care and makeup routine? One of the biggest reasons I stopped covering my grey is because I hated how much time it took. Try cutting out TV entirely for a week to see how it feels. My family has done several TV-free weeks and for many years, we didn’t own one at all. Put the phone in an inconvenient place. Make sure you always have a good book nearby so that when you’re tired or bored, you can pick it up and read instead. If you think you might have a problem with cell phone addiction, read this. Simplify homeschooling. Focus on the big subjects, and let your kids learn from delving deeply into their hobbies and interests. Encourage independence and buy curriculum that doesn’t require a ton of prep work from you. Reading aloud to several kids at once and creating a culture of books in your home will do more for their education than any fancy, expensive curriculum. More on simplifying homeschooling here. 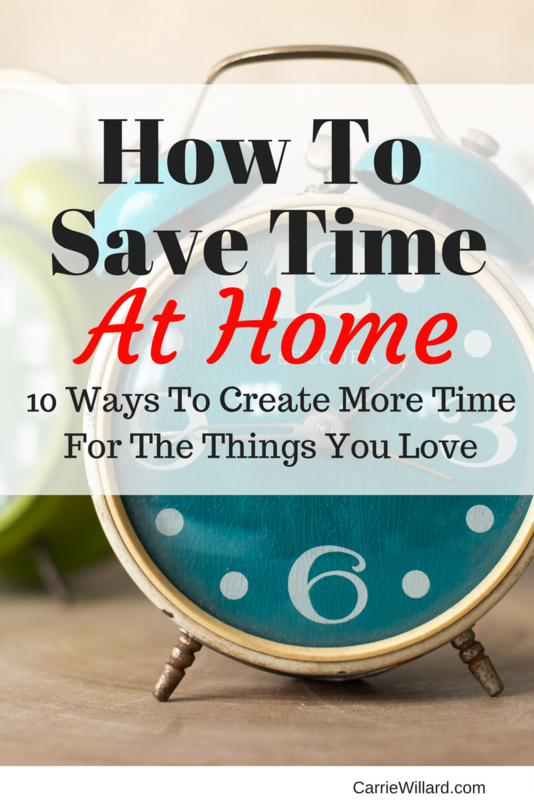 What are your best tips on how to save time at home? What do you prioritize? This is a really great article. I’ve been thinking for awhile that I needed to track my time to see where it is all going…I just haven’t actually done it. I will though. Stacking your time is a great idea! When we lived in town, we used to go on bike rides to run errands. That isn’t so easy now because we live too far away from EVERYTHING!!! I also loved your homeschooling idea! I have 6 kids…one has graduated, another will graduate this year, two are in high school, one is in elementary school and our youngest is only 1. Once my older ones could read, they were responsible for their own lessons. It’s funny now, because the baby sees and hears so much school work everyday, she can already say most of the alphabet and count to 10! So many good tips here, Carrie! Very good article with good tips! Thanks for sharing! you’re welcome LaDonna, glad you enjoyed it! This. This is my main message for my readers too. I absolutely believe that moms can have time to lead a fun and rich life- full of the things they want most. Thank you for sharing such a great message with other women.